please contact me if you are interested in adopting some of my babies. thanks. i have 2 beautiful kittens left for sale out of a litter , one male ginger and one female toirtoise shell , both wormed, both toilet trained and fully weaned they are 6 weeks of age and ready to leave their mum now. i am asking for 50 dollars each to cover my time, worming and food for them . please. 1x kitten 5 week old free to a good home multi colour black/white/grey please call james on 0450556052. For how long have you been in search of a Healthy Persian Kitten? It is 8 weeks old and it's medically fit for adoption. It is VET checked and has updates on shots... Our Kitty is very sociable to the old, kids and other home raised pets. It will serve as the best option for your friend as a gift. We are registered Sphynx breeders situated in Kingaroy Qld Australia. We breed exclusively Sphynx. All our kittens are raised in a loving home environment. Genuine enquires welcome. Approved homes only. 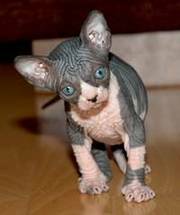 Or visit our website http://www.barebeautiessphynx.com Area Queensland; South East Queensland; Toowoomba & District; Crows Nest; Type of ad Individual Offer; Pet type Cat; Breed Other breed. 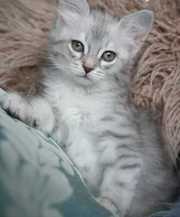 Longhair Burmllla (Tiffanie) kittens for sale. Producing Long hair Burmilla (Tiffanie) kittens of only the best in quality, appearance, health and personality from top show winning lines. Cat Fanciers Association of NSW registered cattery. We currently have stunningly beautiful male and female Black shaded Long hair Burmilla (Tiffanie) kittens available throughout the year to permanant loving homes. 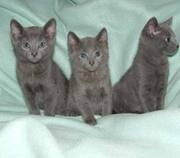 Cats for sale, kittens for sale Australia ads Australia, Cats for sale, kittens for sale classifieds Australia, Cats for sale, kittens for sale free ads Australia, ads for sale Australia, ads to buy Australia, FREEADSAustralia Page number 6-1. Find here ads for sale, to buy and rent in Australia. Goods for sale in Australia, vehicles for sale in Australia, Australia real estate for sale, Australia property for sale, property for rent in Australia, business ads in Australia, Australia business classifieds, services in Australia, Australia services ads, jobs in Australia, pets for sale in Australia, Australia dating, Australia cars for sale.